...it delivers an affecting portrait of a relationship threatened to be torn apart by conflicting goals. Though Cooper says at one point, “This place isn’t bringing out the best in me anymore,” the contrary proves true for its writing/directing duo who not only created a strong showcase for themselves, but for their home state as well. 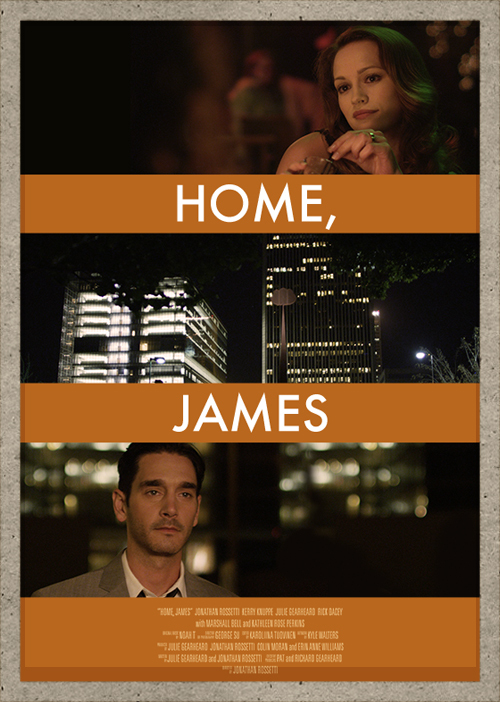 HOME, JAMES is one of the better examples of American independent cinema to have come our way this year. ​Set in Tulsa, Oklahoma, the story follows James, an aspiring local photographer whose recent rejection from a major gallery has left him questioning his talent. While working his unfulfilling day job, he falls for Cooper, a hard drinking Tulsa socialite. James and Cooper are quickly consumed by a whirlwind romance that at first inspires and instills confidence in James but ultimately threatens to derail him. In the end they both must decide whether to pursue their dreams or each other, knowing that it won’t be easy either way.